Flooring options are no longer limited to ceramic or porcelain tiles. Many eco-friendly alternatives are now being used to combat the degradation of natural resources and environment pollution. Recycled materials and natural substances that help in sustainability of the environment are being chosen over ceramic or porcelain floors by many nature lovers. More and more people are trying to replace ceramic floors due to the chemicals involved in their manufacture. Moreover, it also pollutes the atmosphere by releasing many VOCs during manufacturing process. 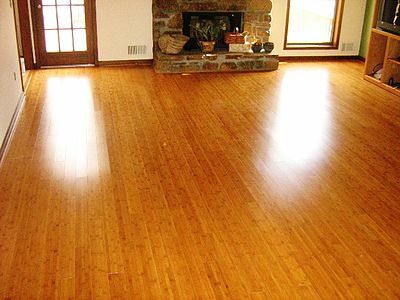 Here are some of the top eco-friendly alternatives for flooring. 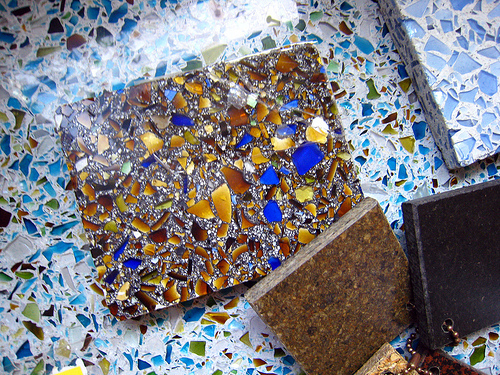 Recycled glass is an excellent green alternative to the conventional ceramic flooring. It can be handcrafted for visual appeal and it can look very elegant in your drawing room or kitchen floors. Since glass tiles are made from recycled window glass and old glass bottles, the environment sustainability is high. Making of these glass tiles involves zero chemical content, no smoke, and absolutely no stains. This qualifies it as an eco-friendly material, which is ideal for floors. It also prevents growth of bacteria since it does not absorb water. The exquisite choice of colors and designs make it an ideal choice for a beautiful floor. You even get recycled glass pebbles that can be used as an innovative and eco-friendly flooring option. Cork, though a soft material, is an excellent choice for flooring due to its amazing properties. Its inherent elasticity makes it very comfortable to tread on cork floors. Corkwood also provides sound and thermal insulation. Even with rough usage, furniture or high heels cannot leave indelible marks on cork floors. The floors usually remain dust free and reduce allergens in the atmosphere, especially dust mites. Cork is also fire resistant and can act as an insect repellant. They are eco-friendly since the bark taken from the cork-oak trees grows aback in three years. In fact, cork is slowly catching up as a trendy option to ceramic flooring. If you are a traditional person, you can choose hardwood flooring while making sure the lumber is coming from sustainably certified forests. Many forests are marked as FSC certified, where the biodiversity is looked after and conserved. Trees are regenerated and grown taking care that the air and water levels are undiminished. These hard wood floors have a wide variety of shades and styles for you to choose from and make for an excellent eco-friendly alternative to ceramic tiles. Trees such as northern oak and maple are grown in these forests and care is taken that the forests are not depleted over time. Bamboo is a renowned green alternative that is harder than many of the other hardwood options such as maple or northern red oak. Moreover, it lasts longer and can withstand rough usage better the other options. Bamboo is naturally resistant to insects, water and mildew and can grow very quickly too. This is why it is still a preferred option for flooring in many parts of the world. Bamboo is easily available and can be transported without any hassles to any part of the world. 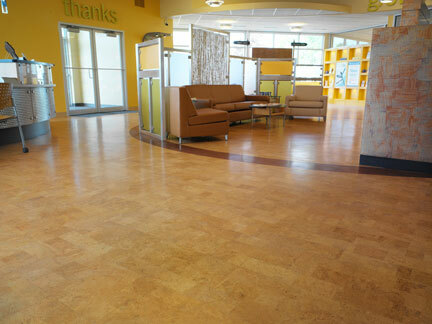 Natural linoleum is made from linseed, tree resin, cork, limestone, and jute. It is the best green option for asthmatics and allergy prone individuals. It hardly collects any dust and is easy to maintain. 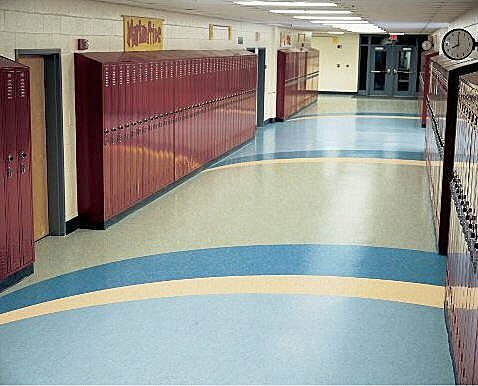 Linoleum does not contain any harmful chemicals and is cost effective too. You also have many colorful options to choose from if you want a green option in the form of natural linoleum floors. This is new green alternative to ceramic flooring. Rubber floor tiles use very little energy to produce and they are made from recycled rubber. This makes them eco-friendly. Rubber tiles are soft and durable, stain resistant, easy to install and easy to clean. Families with young children prefer rubber tiles as floorings since the children cannot are not harmed even if they have a nasty fall. They are sound absorbent and are extremely affordable. With more and more people realizing the importance of environment sustainability, it is not surprising that eco-friendly green floors are being used as alternatives to ceramic floors. 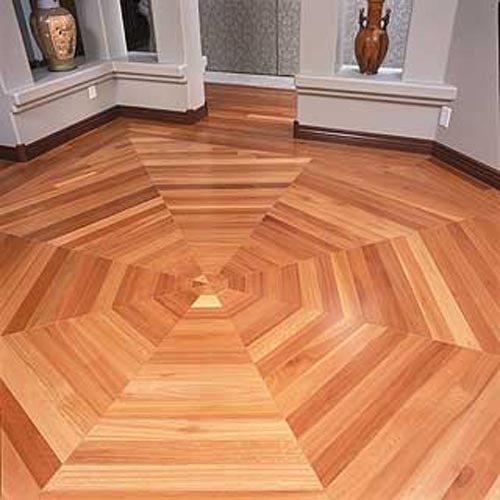 Nature with a dash of beauty and utility has now become a top choice in setting up exquisite and durable floors in many homes of green peace lovers. 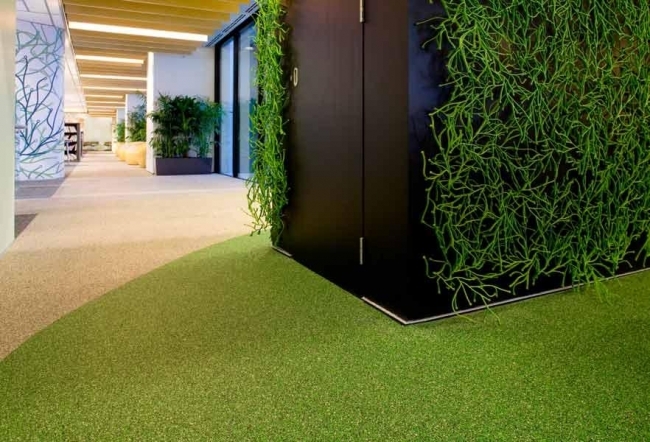 With so many green options available for flooring, ceramic floors may slowly take a back seat as the world wakes up to the alarming levels of pollution and depletion of natural reserves for man’s insatiable desires.